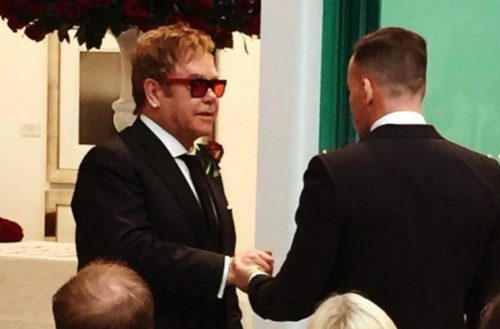 In advance of his Australian tour, gay icon Elton John posted a letter to Instagram. The letter encourages Aussies to vote yes on the plebiscite on marriage equality. Though the plebiscite is non-binding, if it passes, Parliament will likely address marriage equality. 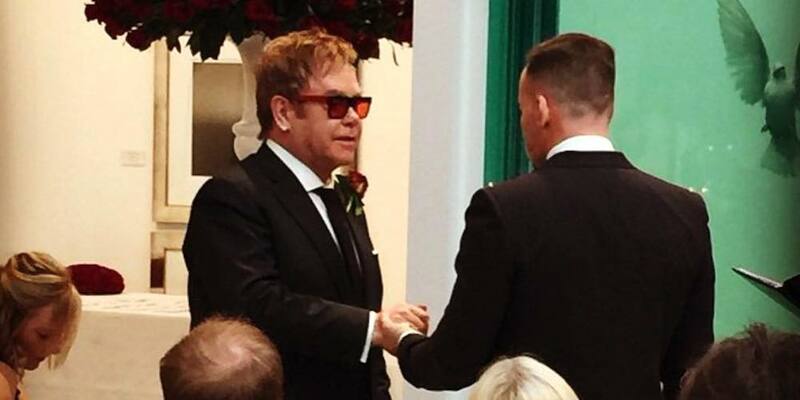 The photo in the post is of Elton John’s wedding day to David Furnish. Furnish and John have been married since 2014, when marriage equality came to the United Kingdom. However, they’d been together for almost 20 years before that. I’m so excited to be back in Australia for a series of shows. Many years ago, I chose Australia for my wedding to a wonderful woman for whom I have so much love and admiration. I wanted more than anything to be a good husband, but I denied who I really was, which caused my wife sadness, and caused me huge guilt and regret. To be worthy of someone’s love, you have to be brave enough and clear eyed enough to be honest with yourself and your partner. Almost 24 years ago, I met the person with whom I could be fully myself. When we married in 2014, it felt like that fact was accepted by the world. For David and I, being able to openly love and commit to one another, and for that to be recognised and celebrated is what makes life truly worth living. That acceptance and support makes us want to be as kind, responsible and productive members of society, as well as the best parents, that we can be. I love Australia. I love its spirit, its lack of pretence, its passion. I hope it can embrace the honesty and courage that seeks gay marriage as an expression not of desire but of love. Of course, Elton John’s not the only celebrity to come out in support of the Yes campaign. This Sunday, Ellen DeGeneres tweeted a photo of Portia DiRossi, her wife for Wife Appreciation Day. The plebiscite ends Nov. 7, and the results will come out Nov. 15.